My first contact with autism – 30 years ago – was at Fairview State Hospital in Orange County, California. I worked there two years, preparing young adults for de-institutionalization, teaching them self-help and community living skills using behavioral methods. I learned about discrete trials, prompting, rewarding and taking data. Little did I know years later I would be using these same techniques to teach my own son, Jeremy. To this day I vividly remember my first contact with a young adult with autism. It was my first day at work, and I was waiting in the recreation therapy office for my boss. Gregg walked in. “Hi my name is Gregg Doe. I used to be a sports newscaster. Do you like baseball? Ask me about any World Series and I can tell you who won and what the score was.” I was thinking how dedicated this man was to leave a job in television to work at a state hospital, until I looked at my clipboard and saw his name included in the list of people I was supposed to teach. Gregg could tell you all about sports, but couldn’t tie his own shoelaces. Fast forward to today: I know a lot more about autism, and so does the general public. Then, I would take Gregg and his peers into the community to practice crossing the street or ordering food in a restaurant, people would stare and avoid getting too close. Now, when my son – who at 20 is about the same age as most of my Fairview patients back then – is out in public, people are more accepting, even when Jeremy is not on his best behavior. People smile at us, some stop to talk and ask questions when he has his assistance dog with him. People’s attitudes towards autism – and people with autism – have changed, in a good way. Services for kids have improved. 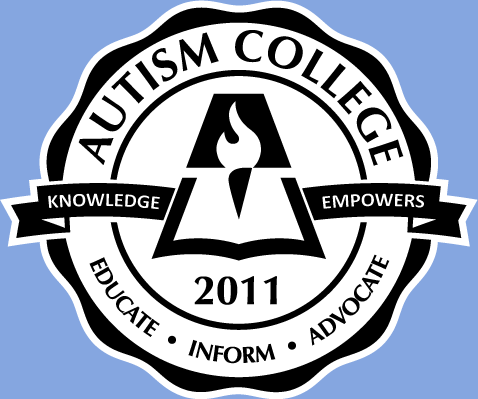 Teachers are more knowledgeable about autism. What has not changed over the years, however, is the devastation a parent feels when hearing the diagnosis of autism for the first time. Difficult then; just as difficult now. No matter how deeply inside you realize something is wrong, suspect it might be autism, the professional pronouncement still kicks you in the stomach and sends your head reeling. Today there are many different treatments and therapies, a good thing. However, there is still no know way of knowing which therapy or biomedical treatment will be helpful to your child. Then and now: we grieve, we live amidst uncertainty, we lie awake night after night searching for answers. When Jeremy was born in Paris in 1989, autism was still fairly rare: The estimated diagnosis rate was 1 in 10,000. It’s still painful to think back to Jeremy’s early years. It was almost impossible to get any help for him at the time. I knew he was not developing normally, and I wanted to know why. I wanted somebody to tell me what to do to help him. Most of the medical professionals I consulted told me to take him to see a psychoanalyst – This was the treatment of choice in Paris at the time. When Jeremy finally was diagnosed, at age three, the specialist handed me a box of pencils and said, “If you are lucky, you will find a good institution for your son. He will eventually learn to package pencils into a box. That’s where these came from.” That was then. This is now: I have found an institution for my son: it’s called “college.” Jeremy is headed there after he graduates from high school in June 2010 – with a full academic diploma. He passed the California High School Exit Exam (one of the requirements), without modifications, only accommodations. He now needs to take and pass one year of algebra and one semester of science to earn his diploma. My son’s success is not a miracle, rather the result of years of blood, sweat and tears (on his part and mine), and the hard work of many educators, home tutors, Jeremy and myself. I’m not especially talented, but I am very stubborn. I never asked the school for anything I had not first tried with Jeremy myself, experienced success and results, and had the data to prove it. When Jeremy was 14, I took him to see Soma Mukhopadhyay, now Educational Director of HALO (Helping Autism through Learning and Outreach). I met Soma while doing research for my first book, Autism Spectrum Disorders. It was then I realized Jeremy was an auditory learner. All the years of using visual strategies, myself and educators thinking he was not “getting it,” finally made sense. Fifteen years ago visual strategies were the new kid on the block. Today a huge assumption exists in our community that all or the majority of students with autism are visual learners. It is simply not true. How many kids who “don’t get it” with visual strategies are really auditory learners, making marginal success because we’re not teaching to their learning style? Soma started to teach Jeremy using the Rapid Prompting Method. It involved a lot of work, but slowly he began to make progress. That year I also realized how much he was “stuck” in his body. He could spell out and describe the steps needed to complete a sequence, but he could not move his body to do it without physical prompting. Jeremy’s challenges (see sidebar) were, more often than not, a result of sensory processing issues and movement disorder. When I interviewed adults on the spectrum for my third book Autism Life Skills, I asked each what was important to them growing up. It surprised me to learn the great impact sensory processing challenges had, even on those with Asperger’s Syndrome. My views about autism and autism treatments have changed over the years. Then, I was a die-hard behaviorist; I only used treatments scientifically proven to be effective. Now, I embrace different types of therapy as adjuncts to using behavior-based strategies (shaping, prompting, rewards, etc.). After witnessing Jeremy’s success with RPM and pointing to letters, having it validated in different ways by different educators, I believe parents should try a therapy or educational strategy that makes sense for the child and family. See if it works; there are ways of validating on an individual level. While working with young adults at Fairview State Hospital before I had Jeremy, and even while he was little, my face scrunched up in disbelief when nonverbal people severely impacted by autism were described as “locked up” in their body, with no way of reaching us. Now I know exactly what they mean; this is Jeremy. I strongly believe there are different types of autism. I believe that for some, like my son, autism is a movement disorder. They cannot always control their movements or use their muscles (needed for speech and other important skills). Many, like my son, have problems initiating and stopping movement yet are capable of learning nonetheless. Then and now, autism remains a multi-layered condition with no clear answers to guide parents and professionals. Then, treatment options were limited…so very limited. Now, options range from behavioral to biomedical, from sensory to social skills, and everything in between. Then, parents were told to expect the worst, to institutionalize their child, move on with the lives. Now, thankfully, we hold a brighter vision for our children’s future. Then and now: our children are gifts in our lives and our love endures. That will never change. When I was little, I had no real way of knowing what was going on around me. My body would not move even when I tried. Life was just chaos with light and sound but with no meaning. Then a physical therapist helped me learn to use my body. My mom helped me make sense of what I was seeing and hearing. I had tutors my mom hired that taught me with ABA. Then I had hearing therapy and lenses to help me see. It took a lot of effort on my part and the tutors to help me learn. Then my mom found Soma and RPM. This changed my life. I did not believe I could be so kindly taught by such a tiny woman. It is still lots of work and it is still difficult when I meet new people. Having a way to communicate only makes life livable, but I need some nice relationships, which are not easy when you are like me. I plan to continue to learn, and to tell people to never give up.